1 Four (4) Moving Heads of Intelligent Lighting on top of Four (4) trusses that are dressed in white satin and up lit to the color of desire! 2 Two (2) 50 inch Led TVs set up on trusses that are dressed in white satin and up lit to the color of desire. 3 A photo Montage that consists of 90 photos and three songs. The breakdown is 30 pictures of the bride, 30 pictures of the Groom, and 30 of them together. 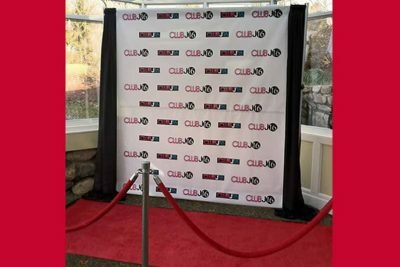 4 A custom monogram to be displayed on the TVs, also video mixing and a dedicated photographer to capture candid moments from the wedding and displayed on the TVs. 5 All photos will be provided to bride and groom on a flash drive at the end of the reception or a link will be given for download. 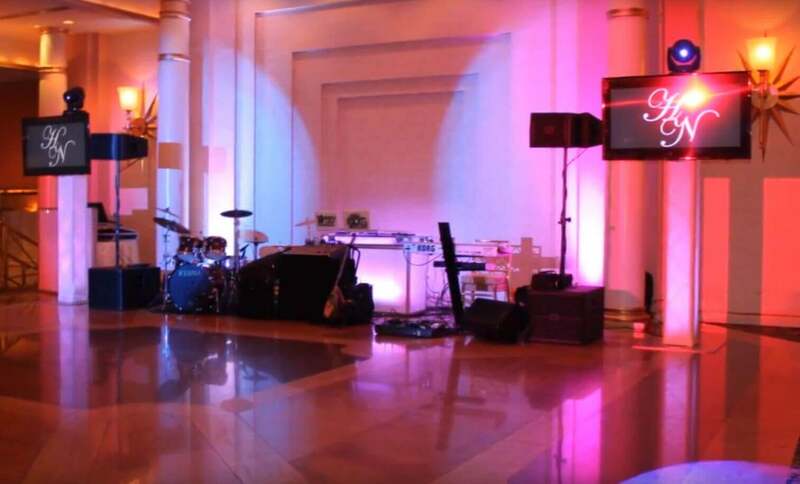 Your Wedding or Special Event can be extremely different with intelligent lighting and up-lighting! 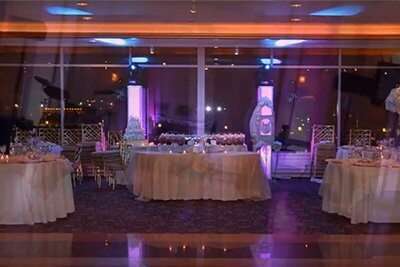 Depending on your affair lighting can be set to your theme color(s) and give a spectacular atmosphere to the reception room! Up-Lighting for the whole or part of the room can be purchased separately. Mention your request in the form’s “Your Thoughts” section below, to receive a price quote as well. Fill out the form below to receive your Intelligent Lighting Package Quote. We will answer back in less than 24 hours with pricing and all the information you need! Travel expenses will be added to the package if the event is further than 100 miles drive from NYC.